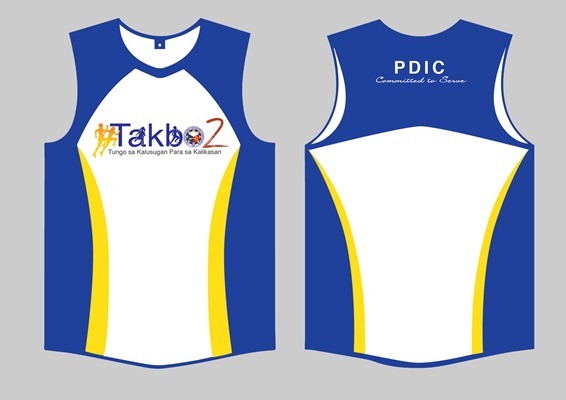 The second edition of PDIC’s benefit run, Takbo 2 Tungo sa Kalusugan, Para sa Kalikasan, is set to happen on May 10, 2015 at the CCP Grounds, Pasay City. It is part of PDIC’s corporate social responsibility (CSR) program and aims to raise additional funds to increase the number of beneficiaries for the Community Development Project in Lawaan, Eastern Samar in partnership with Gawad Kalinga Community Development Foundation, Inc.
Last week CDC Holdings invited a number of mommy bloggers, together with their kids to an afternoon of fun at the Manila River City Residences. Dubbed as the “Summer Carnival”, it is a regular activity being held by CDC to encourage the condominium residents to get out of their units and bond with each other, fostering a healthy sense of community and camaraderies among its residents. Real estate development company, CDC Holdings, embraces summer through fun and games as it holds the first Summer Carnival event for its residents! 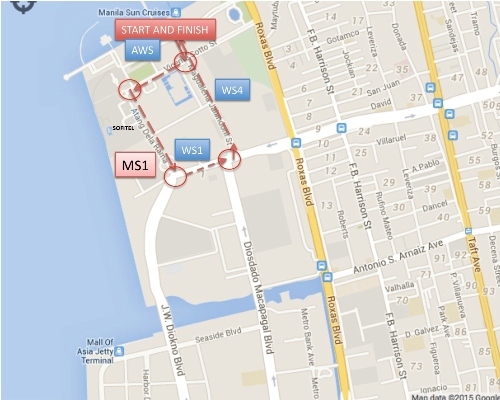 The event kicks off this April 18 at its Manila Rivercity Residences project in Santa Ana, Manila. 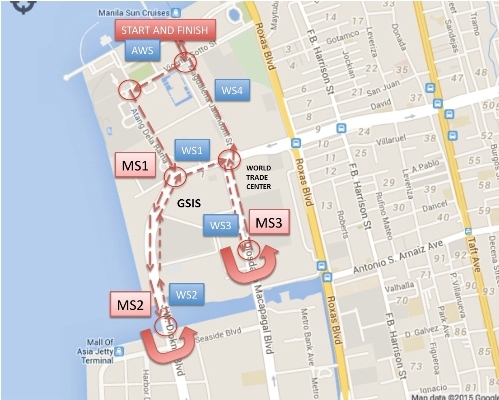 The kids and families from its Paranaque property, Lions Park Residences, will enjoy the event next day. The Summer Carnival event features outdoor recreation wherein members of the CDC community are given the chance to have a fruitful bonding experience while enjoying the games and prizes CDC has prepared. CDC Holdings believes in going beyond buying properties, but puts value in building communities. It takes time to initiate and organize fun activities for its residents whole year round. “We have always valued building communities as part of developing our properties. This is our way to forster a sense of community and further build goodwill among our residents. Through activities such as the Summer Carnival, we wish to instill to our residents the value and importance of community, especially during this time when we are moving at a faster pace and seem to be more detached from each other due to technology, as well as busy schedules. We want to bring back that sense of community wherein neighbors interact positively and support each other, providinga sense of belonging that is beneficial to all”, Charlene Chua, CDC Holdings Executive Vice President, explained. At the CDC Summer Carnival, exciting games are in store for resident, including Hoop-A-Loop (Ring Toss), Knock Out, Catch the Fish, Target Shooting, and Balloon Dart. Kids of all ages can also enjoy being engulfed in a giant zorb ball, as well as have a fun time with other kids at the inflatable playground. CDC will also offer delicious summer treats for the children, such as cotton candy, snow cones, and squid balls. CDC Holdings, Inc. is the investment arm of a group of companies engaged in property development, property management, sales and marketing, and hotel and serviced-residences management. Founded in 1986 by Elise Chua, CDC Holdings President and Chief Executive Officer, the company has since established itself as one of the most recognized and respected leaders in the Philippine real estate industry. In its more than 28 years, CDC Holdings has grown adn expanded its set of core businesses to meet clients’ specific needs and uphold its commitment by delivering almost 10,000 quality investments. To know more about CDC Holdings, Inc., and its projects, call 894-0808 or you may visit http://www.cdcresidences.com. In Summit Natural Drinking Water’s quest to Thirst for More, they are now supporting our Philippine national track and field athletes in the Philippine National Open Invitational Athletics Championships. Read below the Press Release to know more. Summit Natural Drinking Water is the official bottled water of Philippine national athletes. It has helped aspiring Filipino athletes maintain superior concentration and athletic edge with minerals that boost their hydration level. It comes from natural underground sources around Mt. Makiling in Laguna and is further processed by ionization and filtration, making it clean and refreshing. For more information on the drink that empowers you to reach for it, visit www.facebook.com/SummitNaturalDrinkingWater. New adidas ClimaChill Product Range Now Available in the Philippines! Is the summer heat too much for you? Beat the heat with adidas Climachill which delivers maximum cooling technology perfect for the warm and humid climate in the Philippines. The new Climachill apparel range, headlined by a black training t-shirt features intuitive body heat management technology to keep you cool. Read more about this product range from the Press Release below. The Climachill™ product range is now available locally at leading adidas Sports performance stores, adidasonline store (http://shop.adidas.com.ph) and sports retailers nationwide. Watch here Brooks’ second video from their “Why Do I Run” series. 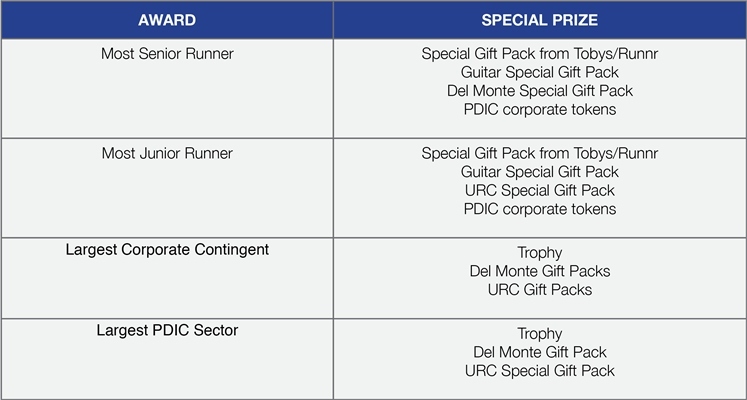 In this edition, they feature Philippines’ very own elite triathlete, August Benedicto. Watch August talk about his love for running which started way back when he was a vendor who had a dream and up to today where he is recognized as one of the country’s elite triathletes, having won several major races including the Cobra Ironman 70.3 2012 and 2014. 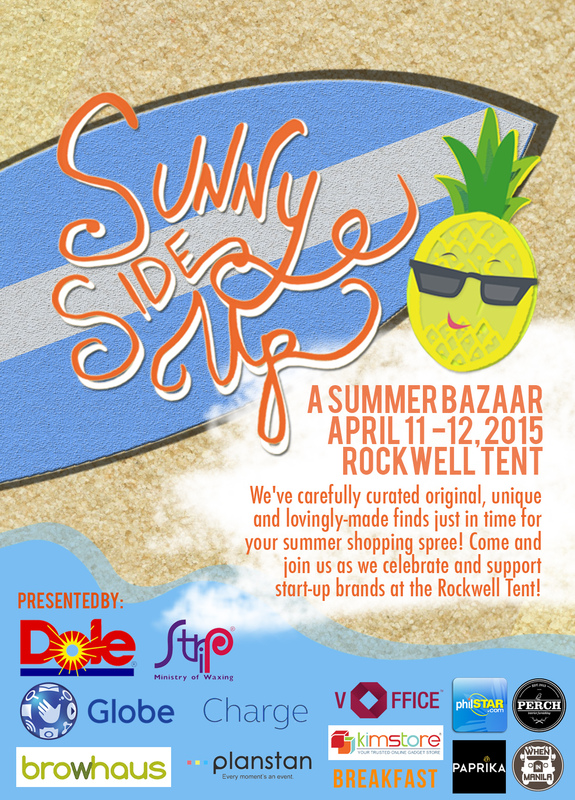 Make sure to drop by the Rockwell Tent on April 11-12 for the Sunny Side-Up Bazaar. This summer-themed shopping expo will have participating merchants with products ranging from apparel, footwear, accessories, arts and crafts to specialty items. 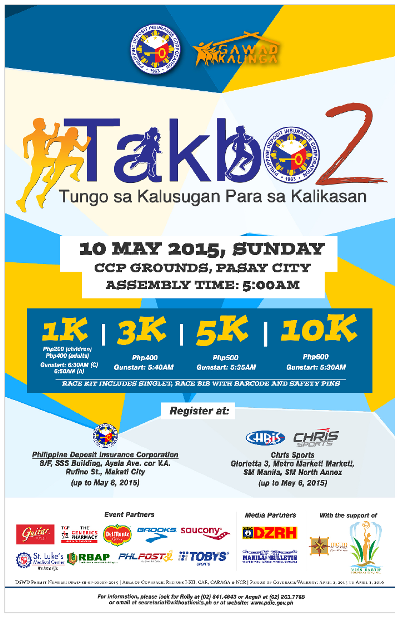 There will also be food vendors who are set to provide a wide variety of unique snacks, refreshments, and full meals. On top of these, a screening of the Philippines’ first ever surf film, Archipelago, will be held in the venue. About a month ago, I was lucky to have been invited to attend Nike Women’s Digital Media. It seems to be the first of its kind to happen in the Philippines, where women members of media – both digital and mainstream plus some influencers, gathered for a few hours of “women-bonding”. 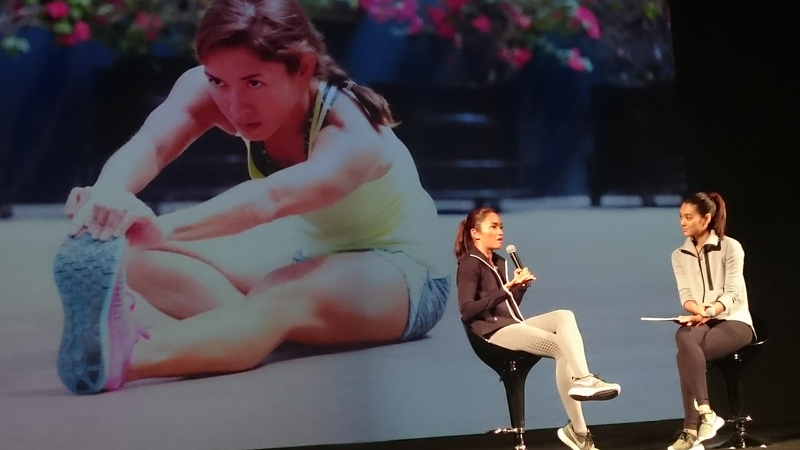 The event was divided in three parts, the first one being the talk, hosted by model Kim Jones, featuring prominent figures from Nike – Nike Southeast Asia Brand Director Bulbul Khera who talked about how Nike engages and inspires the female athlete of SouthEast Asia and globally. Women are not just concerned about beauty but most of all, fitness as well. In fact, Ms. Khera shared that nowadays, the new standard of being beautiful is to be strong. Next up was Nike Southeast Asia’s Running & Women’s Training Apparel Brand Merchandiser, Valerie Ng. Hearing her talk about how NIKE designs for women gave me a flash of realization – “Ah kaya pala!”. According to her, the first step to designing and coming up with awesome Nike apparels for women is to listen to the users themselves, the female athletes. Nike, Valerie said, further wants to ensure that its apparels, aside from its eye-catching and colorful designs, are designed to fit whatever the specific need of the sport that women endulges in. So this is why there is a difference in not just the aesthetic but also the functional design of a particular apparel such as the thights depending on its use (i.e., for yoga, running, etc.). 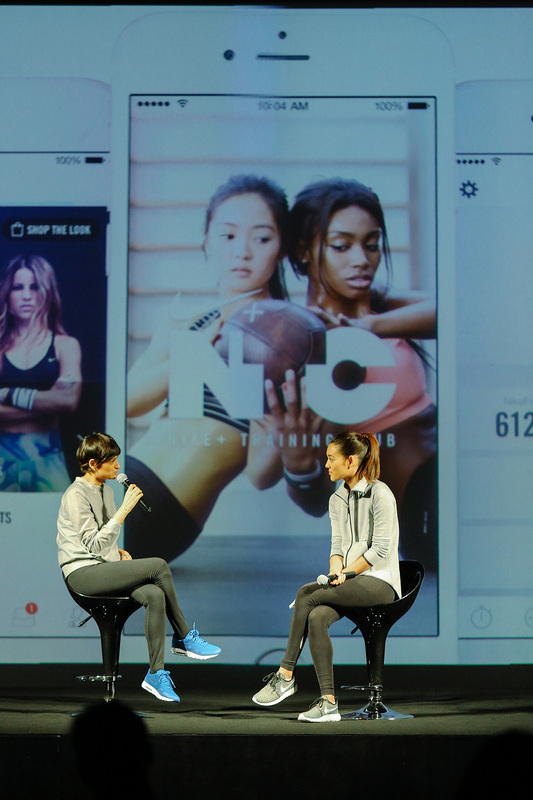 Valerie Ng, Brand Merchandiser from Nike Women SEA, speaks with host Kim Jones on how NIKE designs for HER. Last to take the stage was Nike PH’s newest lady ambassador, triathlete Monica Torres. In her talk with host Kim Jones, Monica briefly talked about her journey into the sport which she truly excels in, the sport of triathlon and what truly inspires her as an athlete. This short but inspiring talk with three prominent Nike Women was followed by the exciting presentation of Nike’s upcoming Collection for Summer 2015. The setup was awesome! 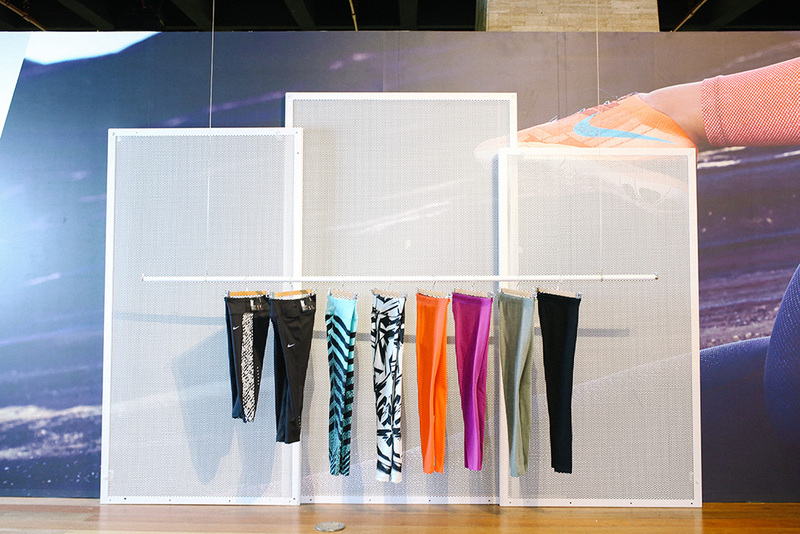 First stop was the station featuring Nike’s Apparel Innovation for the Pro Bra Collection. First to greet us in this station was one interesting “bra fact” – “80% of women are wearing the wrong bra size”. 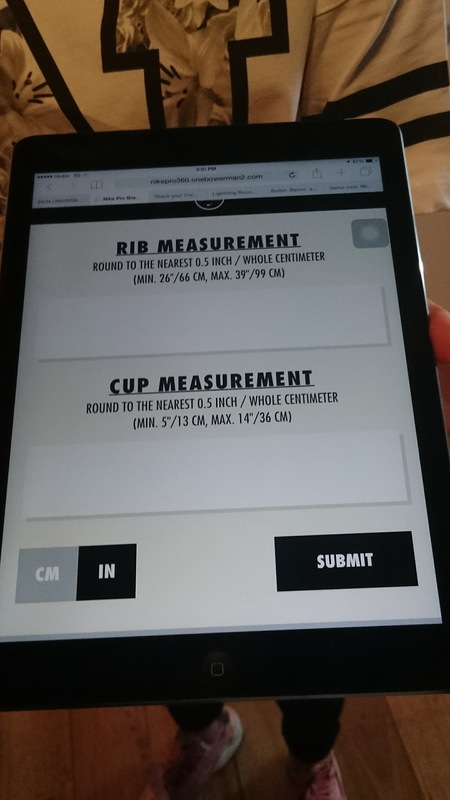 More often than not, the inability of women to choose the correct bra size is the failure to actually know how to measure and determine one’s size. Nike, realizing that this is something major that they need to fix, came up with a system to help women determine their correct sizing – the Nike Pro 360° Fit System. This and the four products from the collection which boasts of a continuum of support, how can women still go wrong? Not anymore I suppose! After the Sports Bra collection, next were the tights. Here everyone are to realize how much work Nike has put in each item as there is a different set to choose from for each fitness activity. The tights are amazing in form but did not scrimp on function. Who would have thought that the placement of the pocket and even the stitching matters and cannot be the same for different activities such as running and yoga. 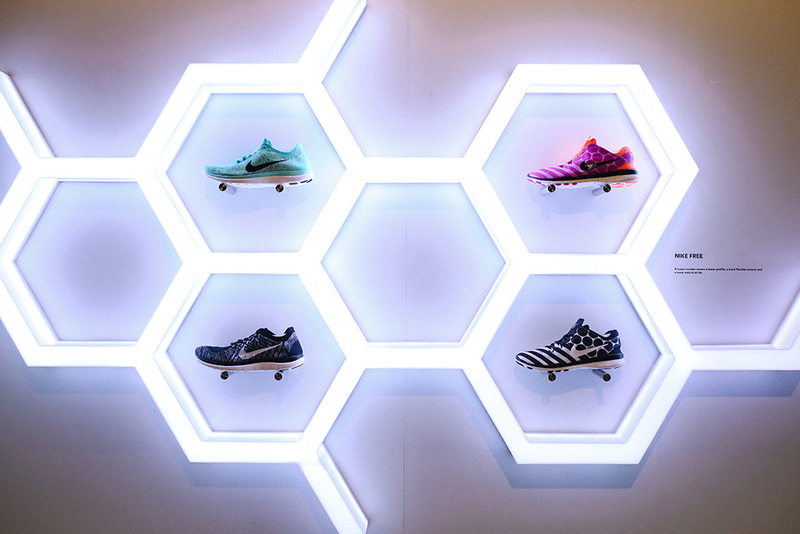 Last stop was the exciting first look at upcoming Nike Free Collection for Summer 2015, which includes the Nike Free 3.0 Flyknit, 4.0 Flyknit, and 5.0 Flyknit in exciting colorways. Nike EKIN Andro Torres provided us with valuable insights about the different pairs – again it is all about having specific shoe models for one’s specific needs. Nike’s upcoming Free Collection for Summer 2015, which includes the Nike Free 3.0 Flyknit, 4.0 Flyknit, and 5.0 Flyknit in exciting colorways. Suffice to say, it’s “different strokes for different folks” as far as the Nike Summer 2015 Collection is concerned. Cool! 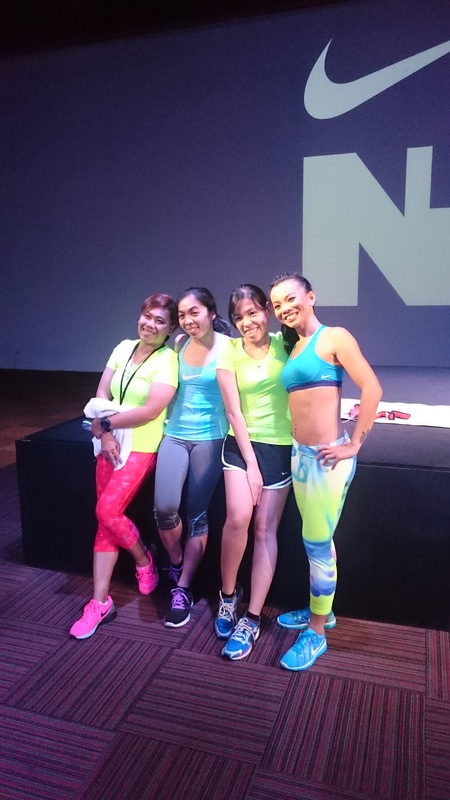 To cap our day was a fulfilling N+TC Training session led by Nike Master Trainer Emelda Vincent. The session was short, with each set lasting for only about 45 seconds but it was really challenging! The session left us truly tired but fufilled to have completed one N+TC training session with Emelda, who is said to be the first and only Nike Master N+TC trainer in Southeast Asia. I was sore all over the next day but what the heck, no pain, no gain! Looking back, that one session was truly one of the best women bonding sessions that I have been to. 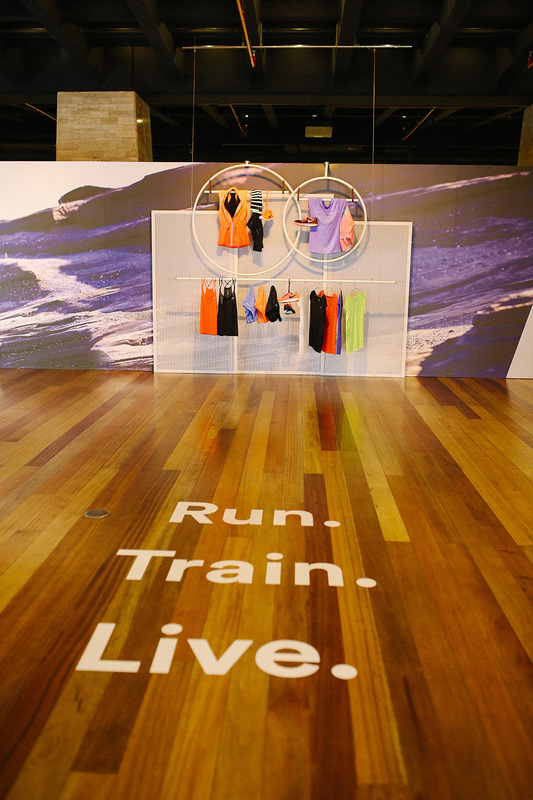 It was also a perfect activity to usher in great activities for women that Nike has in store this year. 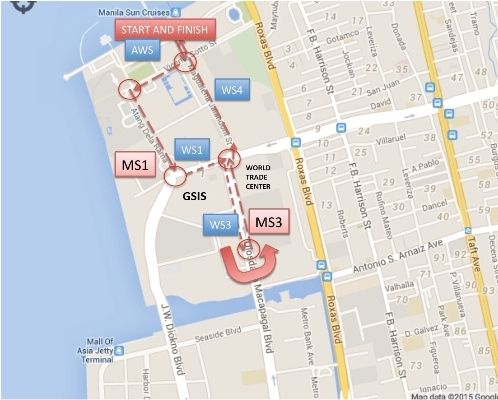 The biggest and next one to come will be the Nike Women’s 10k MNL running event happening on May 9 at the Filinvest City, Alabang. 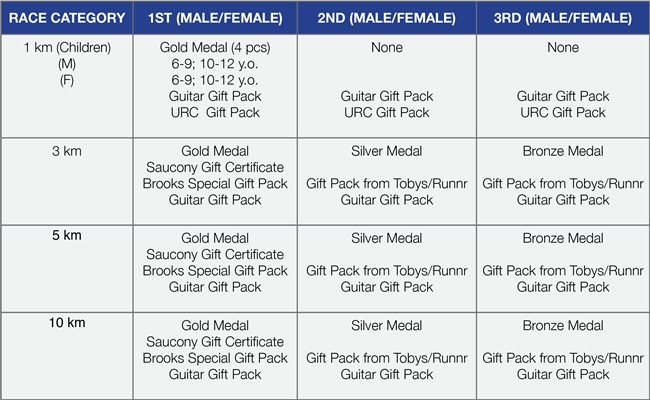 The Nike Women’s 10k MNL race will take on a unique twist by requiring participants to register with their best female buddy, coming from the insight that Pinays love to run and train with a partner. 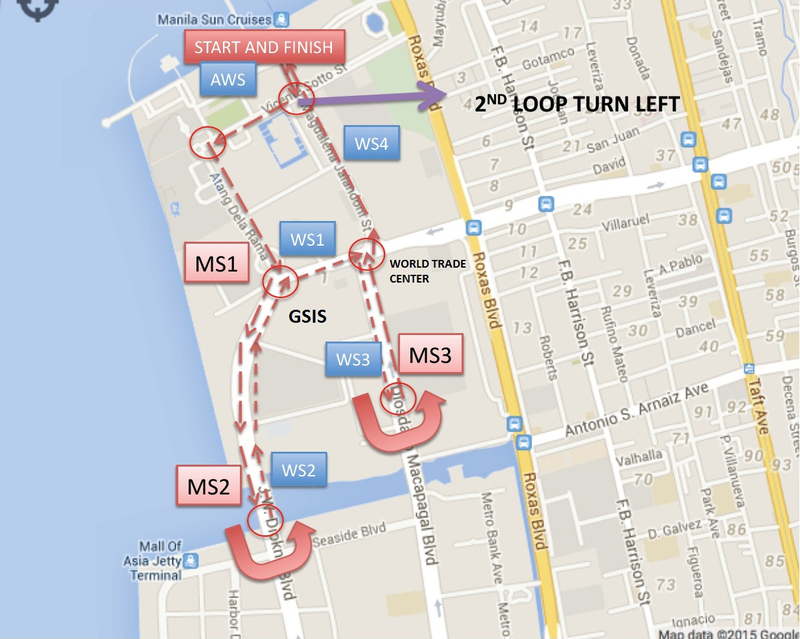 Visit http://www.nikewomen10kmnl.com for more details and/or to register.